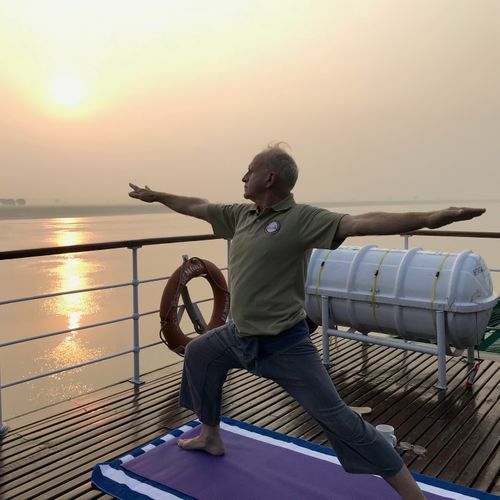 Skip is Certified Yoga Alliance RYT through HYHA, and attending The Jivamukti Yoga 300 hour Teacher Training in India, February 2019. Skip's yoga classes are both thoughtful and thought provoking.He brings to the art atrium and to our retreats a fresh approach and new ways of seeing into the heart via music, art, and poetry. Skip, a native of Westhampton is Abby's husband and partner in life and work. He shares with her a strong devotion to the ancient teachings, all arts and yoga.